When is a pond not really a pond? When it’s a 749-acre lake! 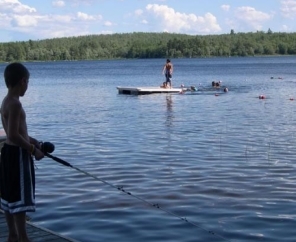 At Patten Pond RV Resort in Maine, we offer guests their pick of the perfect campsite. 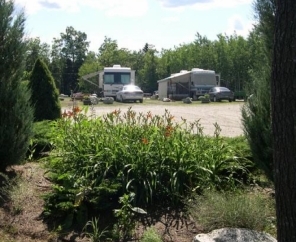 From spectacular water views, a spacious pull-thru or a rental cottage right on the lake, we have sites to suit every camper. Ready to get active? Start your day with a pancake breakfast, then you’re off to canoe, fish, swim, boat or just relax on our peaceful, private beach. Or spend a day outside the resort, hiking through the famous Acadia National Park just a short drive away. Historic Bar Harbor is also nearby, perfect for strolling the streets. 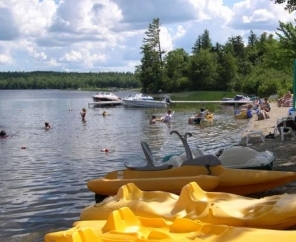 Patten Pond RV Resort is everything you'd expect from an RV park in Maine. 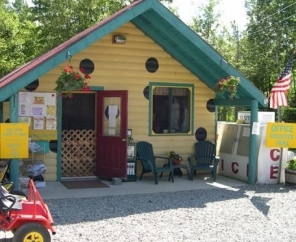 Exciting amenities, a friendly staff and an outstanding location will make your Maine camping trip one to remember.